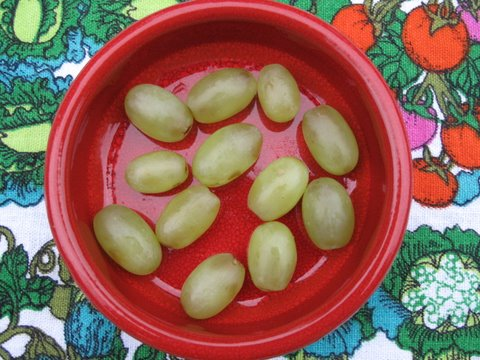 Perhaps the most famous of all Spanish holiday traditions is the New Year's Eve tradition of Las doce uvas de la suerte or The Twelve Grapes of Luck. With each chime of midnight (based on the clock tower in Puerto del Sol in Madrid), Spaniards eat one grape with the beat of each bell. This is said to promise good luck into the new year. And for many Spaniards and gringas (like me) alike, each grape eaten encompasses a wish or hope for the new year. Here in the States, where time is counted in seconds, it's tough to properly space out your grape consumption, but as long as you eat your last grape before 12:01, you should be good to go. Think about your twelve wishes. Are they for you? For your family? For the world? Visualize your perfect 2013. 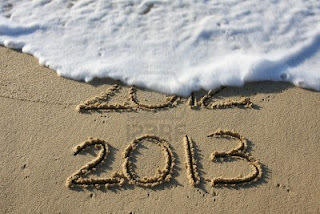 As 2012 is washed away, and 2013 takes its place, what changes will you make to create a better life for yourself? For your family? For our world? Happy New Year, friends. Wishing you much joy in 2013 and always.